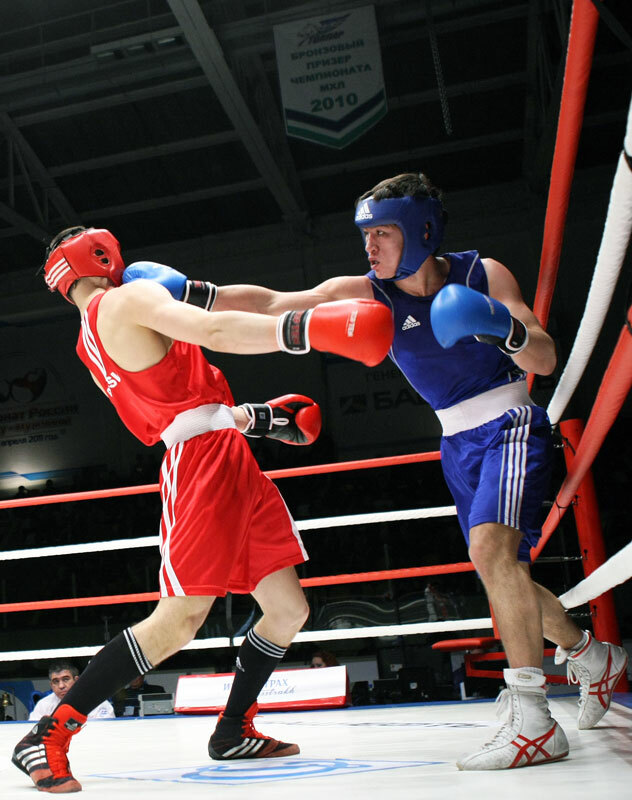 From left: Artyom Chebotarev fighting Dmitry Bivol, weight class 75 kg, at the Russian Boxing Championship. Dmitry Bivol progressed to the finals. Photo by Maksim Bogodvid / RIA Novosti.